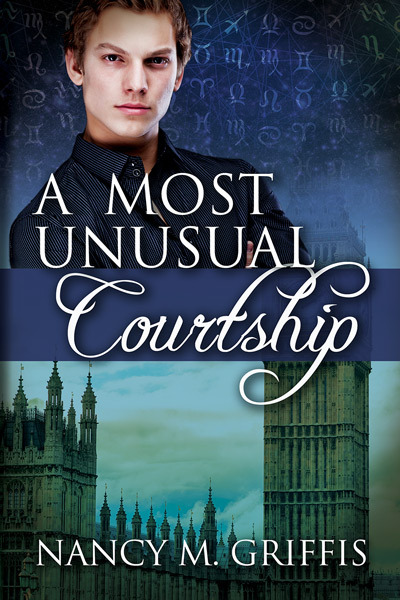 I was quite intrigued with the blurb of Griffis’ upcoming novel, A Most Unusual Wedding (I can’t get enough of new urban fantasy series to read) … so when I saw the prequel being offered for FREE, I immediately pre-ordered it. I only found out later that this story was first published back in 2012 by a different publisher. Now, I didn’t read the first edition, so I have no idea if there is any significant revision for this 2nd edition. However, since the pages seem to be the same, I will assume that it is basically the same story. In the middle of the story, Gerald is kidnapped by a Dark Mage who seems to have a reason for revenge against Leo. How come? What happened between Leo and this dark mage? There was a clue of them being lovers before but we never really understood why things went south. Then why does Leo need to order the bands for protection of the royal family. Is there danger that looms over the royalty? Why is Leo responsible for providing it? There are so many information gaps which failed to satisfy me as a reader. I did like the setting – the time period is not specifically mentioned, but I felt that this might be an alternate universe that combined royalty and the modern world. Much like an alternate European kingdom, so to speak. In this universe, union between the same gender is absolutely acceptable, which reduced the possible drama stemming from homophobia/bigotry. I still give this short story 3-stars because I have hope that the universe will be deeply explored in the novel. I mean, I did find Gerald and Leo to be likeable characters – I have a weakness when it comes to grumpy characters and I thought Gerald fit this profile to a “T”. Leo was pretty charming and if only we got more pages of him, it would be fun to read about him courting Gerald. In anyway, I thought it would be nice to read about their upcoming wedding. Oh, and I was also very smitten with Gerald’s eighty-three year old grandfather who was such a hoot (he was adamant to be a matchmaker for Gerald!) and definitely would love to read about him again. Bottom line … if you are already interested in the novel, you can try to read this one. It is free on the publisher’s site, so you have nothing to lose (Amazon lists it as $ 0.99 though). But, if you want to skip it altogether and just wait for the novel, I think it will also be okay. This entry was posted on April 15, 2015 by Ami in Fantasy / Fairy Tale, Reviewer: Ami and tagged 3 Stars, dreamspinner, nancy m. griffis, short story.